Birmingham City University teamed up with Climate KIC to run an open innovation lab, focusing primarily on cleantech commercialization. 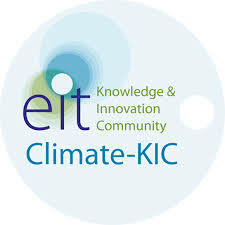 This echoes Climate-KIC’s approach to breaking down siloes between sectors and disciplines, ensuring that those who have the motivation, capacity and skills to tackle problems relating to climate change through business activity are working together, enabling them to come up with sustainable, cutting-edge solutions. Milan hosted the Universal Exhibition EXPO 2015, the central theme being ‘Feeding the Planet, Energy for Life’, a global audience of 20 million visitors were in attendance representing 145 countries. The aim of the exhibition is to facilitate EU companies in a bid to increase business development in third countries and regions. Dr. Robert Lynch (UL), Dave Nickerson (Beacon Power), Nigel Reams (RR Projects), Lea Collins, Jake Bracken, Frank Burke, Ged Nash (Minister of State with responsibility for Business & Employment), Colm Staunton, Peter Duffy, Mervyn Keegan. Irish company Schwungrad Energie Limited is behind the initiative which will be based in Rhode, Co. Offaly and is being developed in collaboration with the Department of Physics & Energy at University of Limerick. It has received the support of Beacon Power, LLC, a US based company and global leader in the design, development and commercial deployment of proven flywheel energy storage technology at the utility scale. Approximately 30-40 jobs will be created during the construction phase which is now underway. A further 10-15 sustainable jobs will follow. Flywheel technology produces and stores small but highly flexible amounts of power to suit grid requirements. 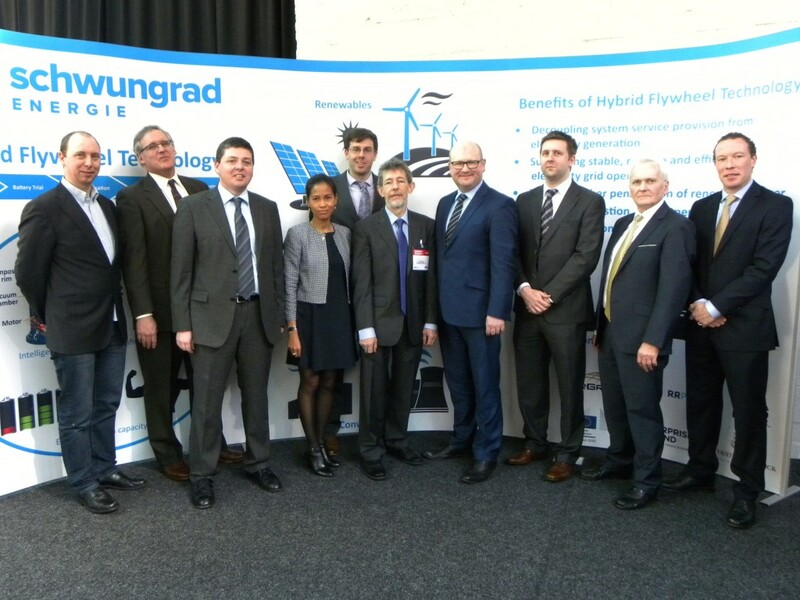 Schwungrad received the first phase of up to €2.55 million European Commission Horizon 2020 funding to assist the project in December 2014, aimed at developing a hybrid system security and reliability technology, to overcome technical barriers and enable the establishment of low carbon and efficient energy systems. Additional investment has been received from Offaly based company, RR Projects and the European Commission, to facilitate development of Europe’s first Hybrid flywheel system service facility. The Irish Trasmission System Operator. EirGrid, selected this project as a potential “Demonstration Project” under its Smart Grid Programme. This initiative promotes and supports the development, trialling and proofing of new concepts, solutions and technologies. It focuses on projects that demonstrate specific smart grid concepts in an Irish power system context, particularly system services. A team at the Department of Physics & Energy at University of Limerick, led by Prof. Noel Buckley and Dr Robert Lynch, are focused on electrochemical batteries for large-scale energy storage and grid stabilisation. These technologies are becoming critically important as an increasing fraction of electricity is derived from renewable sources such as wind. The work will include research and modelling. Frank Burke, Schwungrad Technical Director, with extensive industry experience and who was involved in the early development of system services, says: “Flywheel technology has the advantage of being a ‘100% clean’ power source as the hybrid technology has no direct fuel use or related emissions, and no water consumption. “The site in Rhode was selected due to the historical tradition of electricity generation in the area and the infrastructure available on the brownfield site. Access to the electricity network and other related services can be achieved with minimal disruption. The facility will be unobtrusive -the flywheels are under two metres in height and almost silent in operation. Beacon Power President & CEO, Barry Brits says: “Beacon Power is very pleased to be working with the innovative team at Schwungrad and looks forward to supporting the successful implementation of this important project in Ireland. We are optimistic about the potential in Ireland and Europe for short-duration flywheel energy storage as a key tool to help address the grid system stability impacts of leading implementation of renewable energy sources. 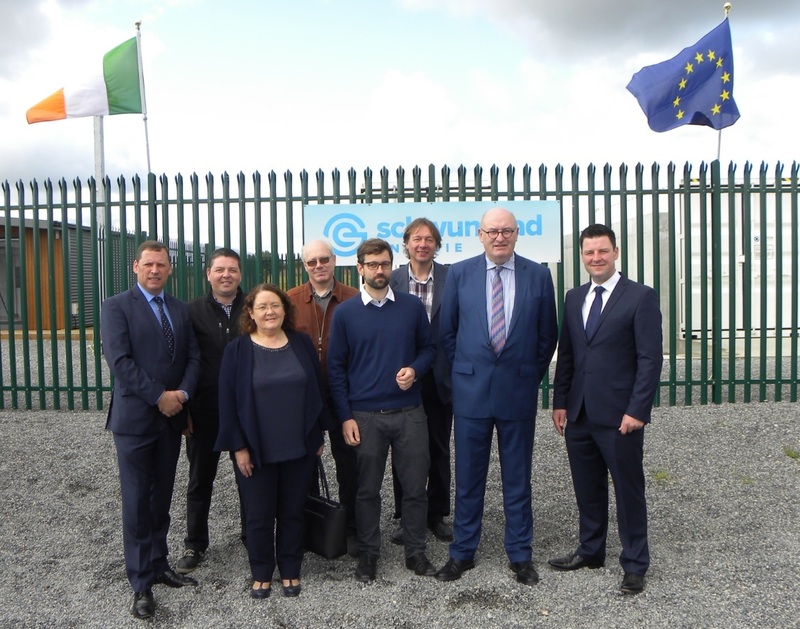 Schwungrad Energie is delighted to announce that the Demonstration Project undertaken in conjunction with EirGrid has successfully concluded following more than a year of testing. The Hybrid Flywheel Battery facility will continue to operate as a pilot, further expanding the knowledge and experience of the company. Schwungrad and EirGrid have published a joint report on the project in which EirGrid, as the Transmission System Operator, has validated the capability of the Flywheel, the Battery and the combination of the two technologies as a Hybrid Flywheel Battery, to provide several DS3 System Service products, namely Fast Frequency Response (FFR), Primary Operating Reserve (POR), Secondary Operating Reserve (SOR) and Tertiary Operating Reserve 1 (TOR1). Schwungrad is greatly appreciative of the support provided by EirGrid throughout the Demonstration Project, and is hopeful that the learnings and insights gained by EirGrid can be implemented as part of the solution to assist the integration of additional renewable power generators on the Irish power system. 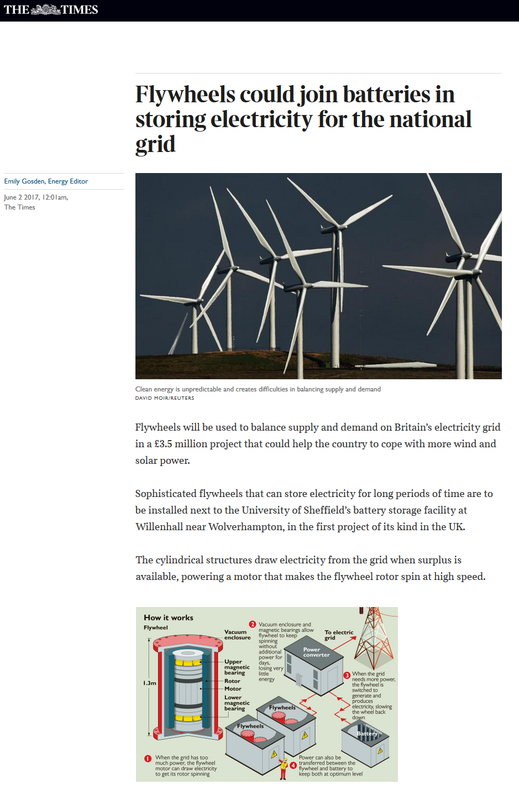 Europe’s largest and the UK’s first battery flywheel system will be connected to the Irish and UK grids to help respond to energy demand as part of a new project coordinated by Schwungrad Energie and involving engineers from the University of Sheffield, Adaptive Balancing Power and Freqcon. The €4 million euro project, with €2.9 million coming from the EU’s Horizon 2020 programme, will develop an innovative flywheel battery hybrid energy storage system aimed at stabilising pressure on the existing grid infrastructure in Europe. Yokogawa delivered the FA-M3V high speed controller and the FAST/TOOLS™ SCADA software to monitor and control the amount of energy that is stored in the flywheels and the charging/discharging of the lead acid battery. Please click here to see the following link for Yokogowas press release on their involvement with the pilot project. Schwungrad Energie’s Hybrid flywheel-battery pilot plant was featured in the Energy UK’s “A Future of Choice” documentary. The documentary focuses on the choices to be encountered by countries to ensure energy security and examines the transition of the energy generation portfolio as more sustainable sources are adopted and the technological challenges which renewables can introduce. The documentary was launched at the Energy UK’s Annual Conference in London in October where the theme was “Choices in Energy”. Please view our feature in the documentary below which shows how advanced technology can assist overcoming barriers and enable greater penetrations of renewable power generators while maintaining the security and reliability of the electricity system.